Footswitch for the Hyfrecator 2000 which enables more delicate procedures to be performed. Bipolar forceps 11cm (4.5") overall length with insulated micro tips supplied complete with cable. High quality single use bipolar forceps with integral cable. Quality and performance means that each single-use bi-polar forcep is as good as a re-useable forcep. Switching handle for Hyfrecator that allows users to remotely select the power setting whilst operating. Ideal for delicate procedures as the power is foot controlled allowing the hand to remain still. Sharp tips for Hyfrecator and Schuco 120 electrosurgery machines. 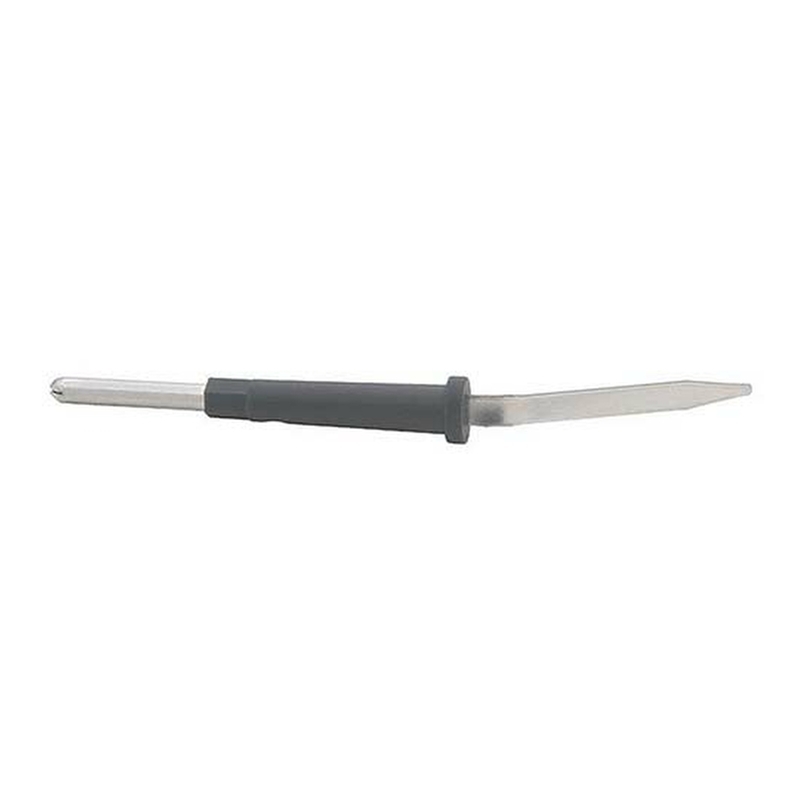 This sharp pointed disposable electrode can be used to apply current to a specific point using the tip of the electrode or can cauterise larger areas quickly if turned over so that the side flat surface is used. Blunt tips for Hyfrecator and Schuco 120 electrosurgery machines. 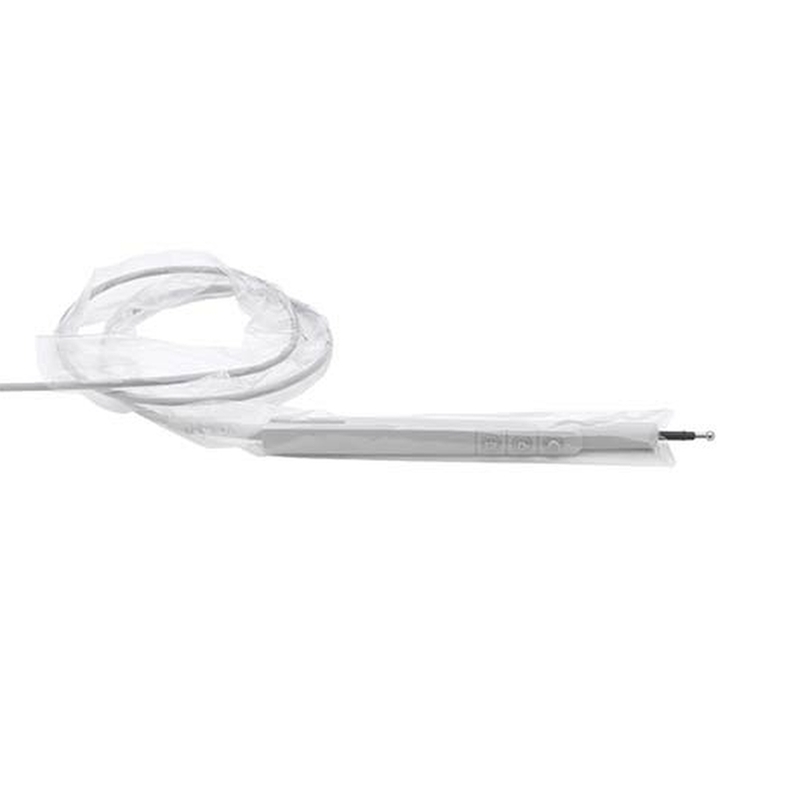 This blunt-ended disposable electrode can be used to apply current to large areas or areas needing precision deep coagulation or can cauterise larger areas quickly if turned over so that the flat back surface is used. Clear plastic sheath 91cm long to protect the Hyfrecator handle and cable from external contamination during procedures. Clear plastic sheath 20cm long to protect the Hyfrecator handle from external contamination during procedures. Super fine point angled epilation needles for Hyfrecator and Schuco 120 electrosurgery machines. 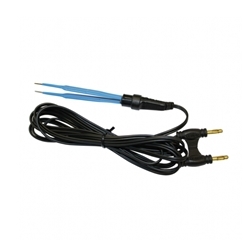 These fine points are ideal for precision micropoint electrocautery. Light weight ergonomically designed disposable epilation needle holder which can be used with the footpedal control of both the Hyfrecator and Surtron electrosurgery units. • Allows a more precise placement of the needle for delicate epilation procedures. Needle tip for Hyfrecator and Schuco 120 electrosurgery machines. • After repeated autoclaving the original cables will need to be replaced - it is recommended that you keep spare cables. Spare forceps 11cm (4.5") overall length with insulated micro tips. Ball electrode tip for Schuco 120 and other electrosurgery machines. Adaptor to enable the Schuco 120 to be used with bi-polar forceps. Disposable preliminary filter for Acu-Evac IE II surgical smoke evacuation unit. When fitted to the directional end of the tubing and placed nearest the point of surgical contact these nozzles will capture 30% more surgical smoke plume thanks to the "trumpet" design. Single use and intended for short procedures up to 15 minutes in duration. Used for cautery, coagulation and desiccation of tissue. 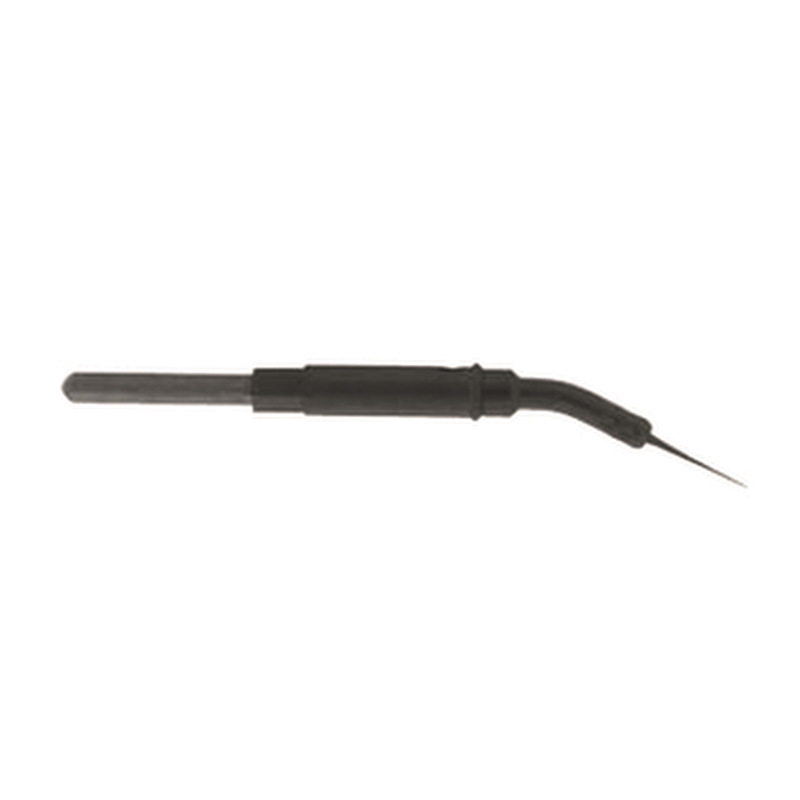 Fine wire electrode which gives a high quality cutting wire for precision surgical incisions. For cutting skin at high settings but is particularly good for the resection and dissection of subcutaneous fats and tissue in open surgery. Particularly useful for the resection and dissection of subcutaneous fats and tissue in open surgery, where the insulated body is needed to permit accuracy with no bleeding of current into the surrounding tissues via the long shaft. Used for cutting skin at high settings but is particularly good for the resection and dissection of tissues and subcutaneous fats and tissue in deep cavity surgery where the insulating sheath is necessary to protect delicate tissue. Particularly useful for resection and dissection of subcutaneous fats and tissue in deep surgery where the insulated body is needed to permit accuracy with no bleeding of current into the surrounding tissues via the longer shaft. Used for cutting skin at high settings but is particularly good for resection and dissection of tissues and subcutaneous fats and tissues in surgery requiring longer reach. 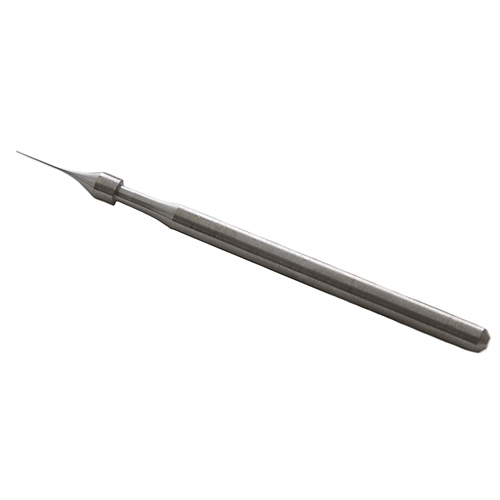 Used for cautery, coagulation and desiccation of tissue for procedures in deep cavities where the insulating cover is required to protect surrounding tissues. 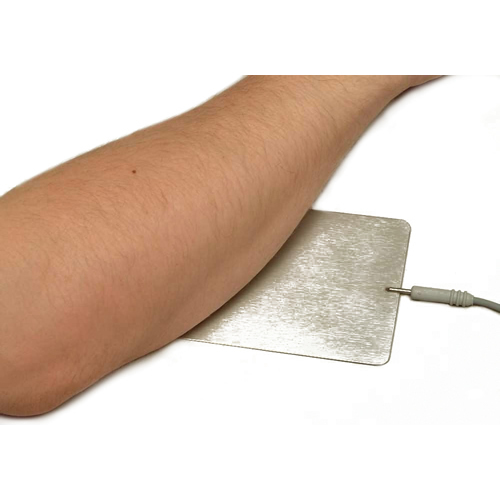 Loop electrodes are generally used for taking biopsies, removing unwanted superficial dermal abnormalities or shaving away abnormal structures a layer at a time, while at the same time cutting and coagulating the tissues reducing bleeding and enhancing healing times and scarring.